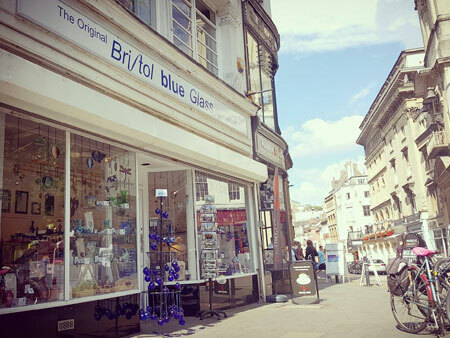 Bristol Blue Glass - Truly Bristolian. 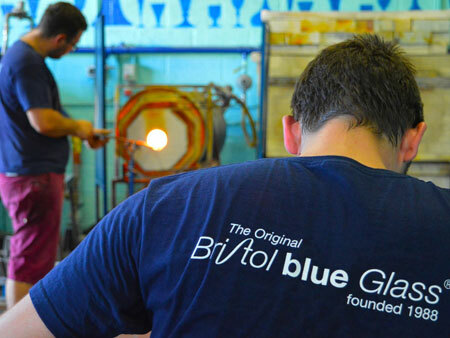 Bristol Blue Glass was founded back in 1988 by James Adlington, with the help of glass maker Peter St Clair. 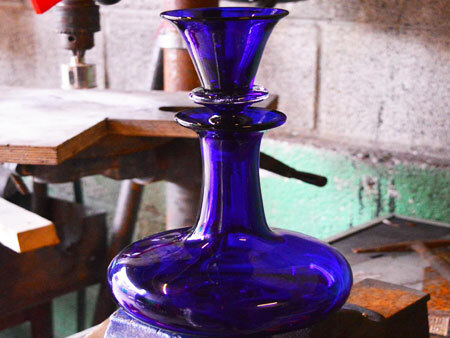 The aim was to re-establish a tradition that had been lost for over 60 years, the art of glass-making. 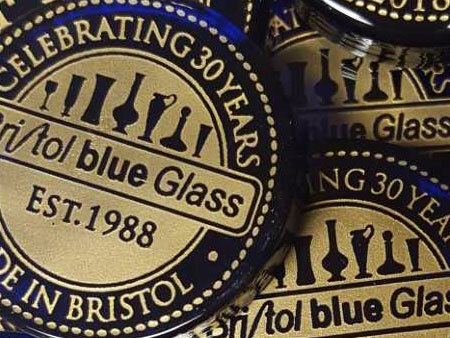 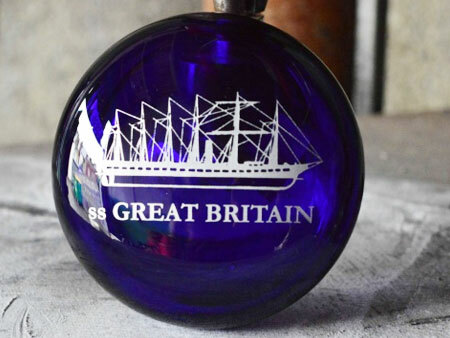 Twenty-six years on we, at Bristol Blue Glass, still endeavour to keep the tradition alive. 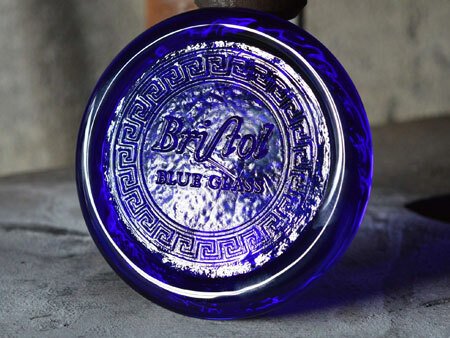 Although we are most famous for our traditional Bristol Blue Glass, our work also includes our Ruby range and in our Studio Shop you will find wide variety of art glass in number of amazing colours. 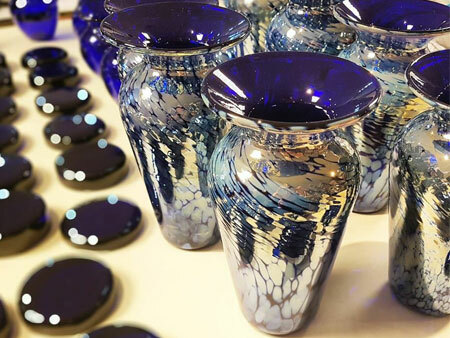 Our Studio and Shop currently boasts many stunning pieces by Peter St Clair. 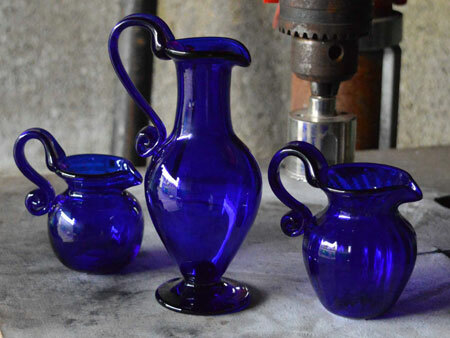 Please browse through our products online or, come and visit our Studio and Shop to watch our glassmakers at work and see many of our absolutely unique pieces. 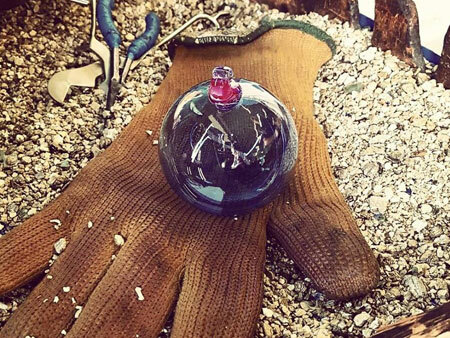 Due to our reputation and innovation, there are those who seek to make imitations of our unique Company. 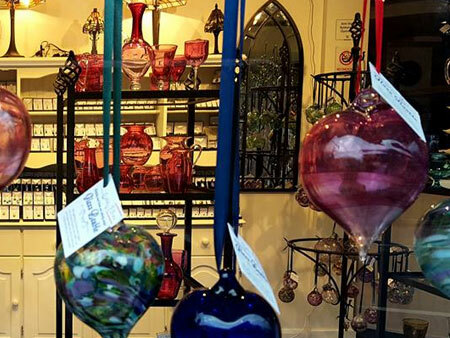 Small groups (10 and under) are welcome to arrive without prior arrangement. 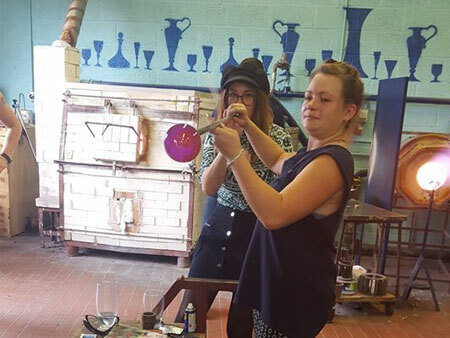 The glass making is free to watch though there is no guided demonstration as this is reserved for paying groups of over 10 people. 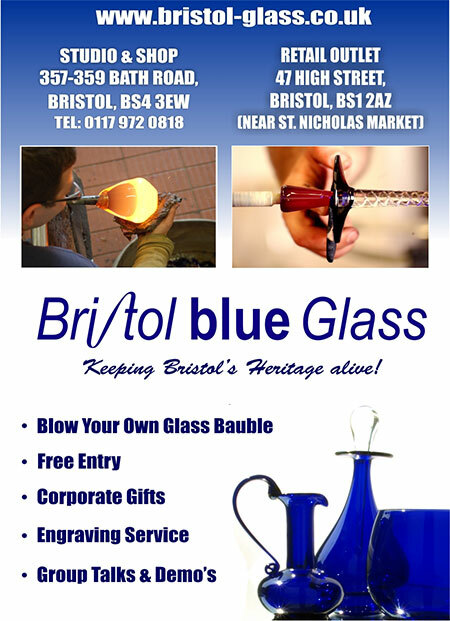 357 - 359 Bath Road, Arnos Vale, BS4 3EW.